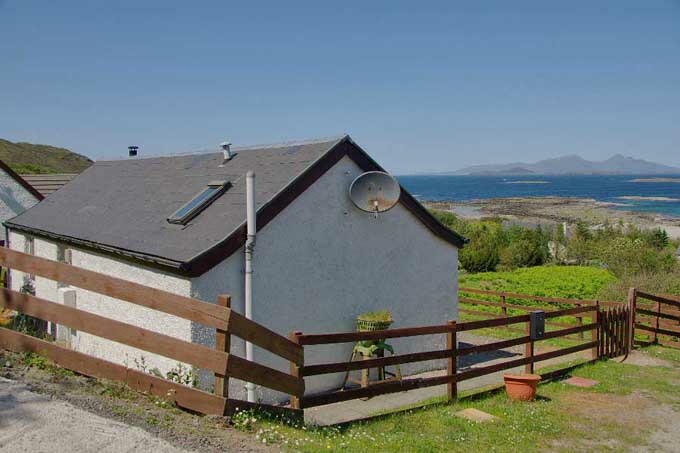 Self Catering cottages on the Ardnamurchan Peninsula on the West Coast of Scotland. 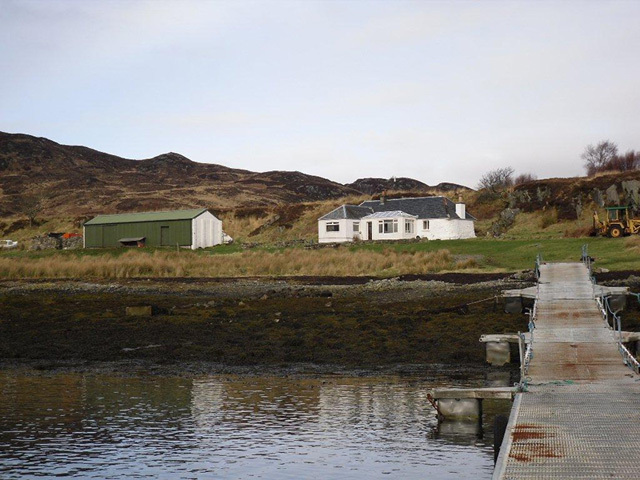 Self Catering cottages located on the Ardnamurchan Peninsula on the West Coast of Scotland. Ardnamurchan's unique position as the most westerly point on the UK mainland, makes this area a great choice for exploring this magnificent and unspoiled part of the Scottish Highlands, with different breath-taking views around every corner. We have a vast selection of different cottages to choose from on the peninsula, from the smaller croft cottages to large estate houses. Adverts include a photo of your property, with description and a link to your website. THE ISLE OF CARNA - six hundred acres of beautiful, unspoiled, natural habitat, lying off the Ardnamurchan peninsula. Spectacular highland scenery views. Perfect for fishing, exploring etc. As there is no electricity, there is no TV, no computer and no phone, so children have no excuse to stay indoors! This also reinforces the peace, tranquillity and seclusion of Carna. Step back in time for a holiday with a difference. Carna is a wonderful experience for those with a mind to enjoy the more natural things around us and an atmosphere virtually unchanged for centuries. Open All Year £1200 - £1600 p.w. Laga Lodge on shore loch Sunart - Glenborrodale. 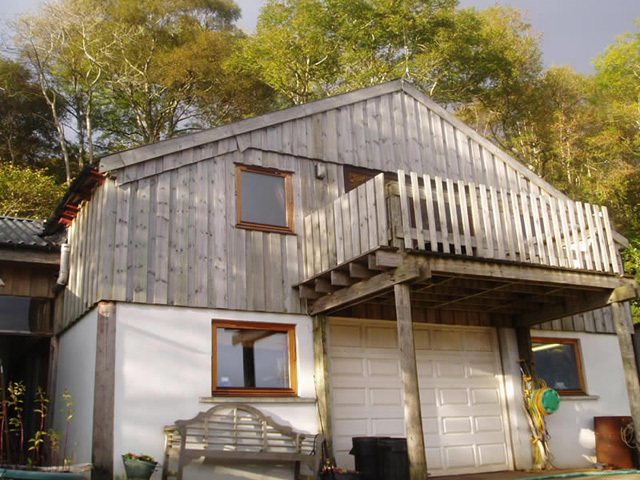 A unique pole building with spectacular views from the large verandah overlooking Loch Sunart. 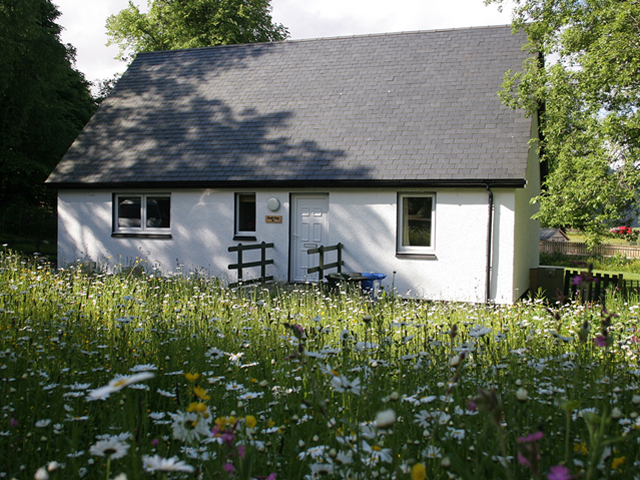 Catering for the outdoor enthusiast, small clubs or families, the lodge features luxury underfloor heating throughout, deluxe power showers, huge drying room, only 30 metres from the shore with pontoon, launching and mooring facilities, diving air, boat and rod hire, workshop and internet access available. Open All Year £950 - £1200 p.w. Comraich is a comfortable and charmingly decorated house. 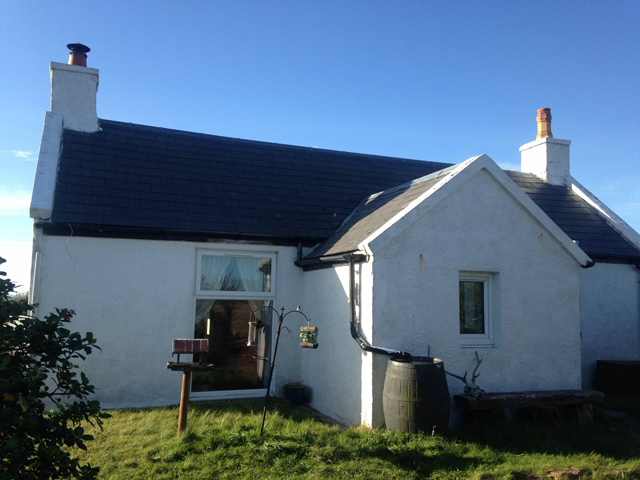 Perched on the hillside overlooking the crofting village of Kilchoan it enjoys beautiful views over the sea to the Isle of Mull. It is set in a lovely, landscaped garden, with a paved patio and seating at the front, perfect for relaxing and admiring the view. Venture out the back of the house onto heather-covered ground or stroll down into the village where you’ll find a cosy village pub, shop and regular ferry sailings to the town of Tobermory. Sleeping up to 6 people. Dogs welcome. Open All Year £382 - £600 p.w. Ocean View is a comfortable homely cottage perfect for families and couples alike. It has a superb location in the settlement of Sanna. Walk out of the cottage over the dunes onto white sands, turquoise water, secluded shores. You can explore secret coves and search the horizon for glimpses of dolphins and basking sharks. 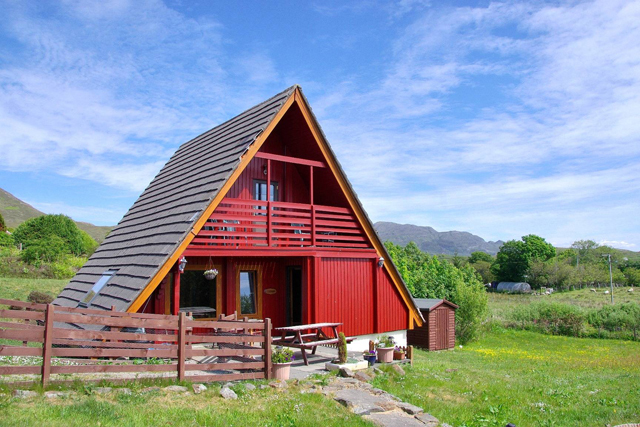 The house provides a warm and cosy retreat after exploring the hills around Sanna or swimming in the deep, albeit cold, blue sea! Sleeping up to 6 people. Dogs Welcome. Open All Year £416 - £633 p.w. 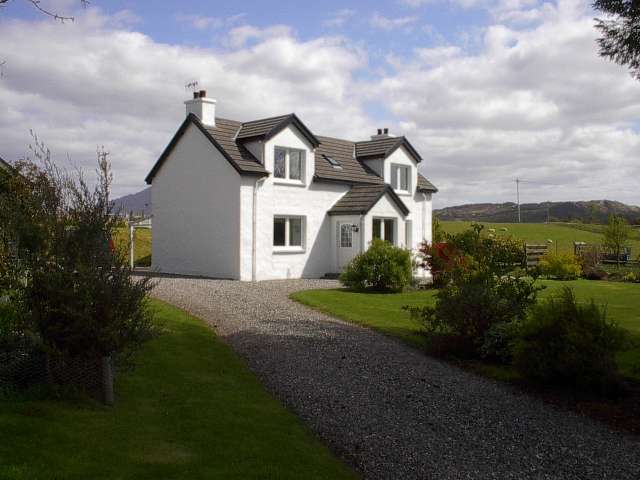 Bramble Cottage - Strontian: Bramble Cottage is set in an ideal situation. It is only metres away from all local amenities but has no passing traffic. It offers privacy with a fenced front garden and has gardens to the rear. It is situated on the edge of a woodland offering fantastic walks. 1 double and l twin bedrooms with a sofa bed in the lounge. All towels and linen are included. The cottage has oil-fired central heating and all electricity is included in the rental price. Strontian has shops, post office and eating out places. 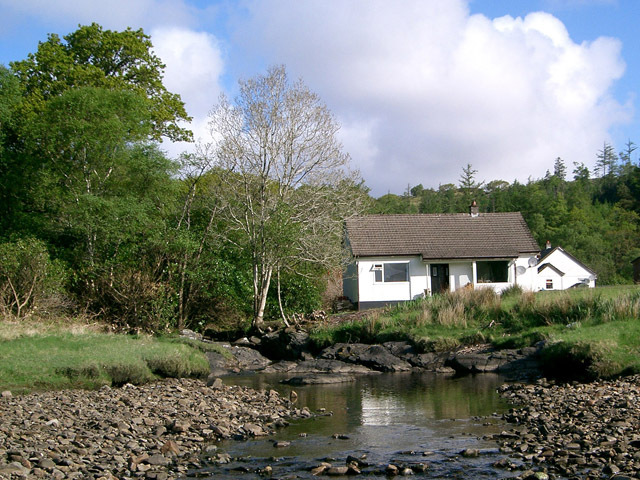 The cottage is close to Loch Sunart and there is plenty of wildlife in the area, Bramble Cottage is a good central base from which to explore the area. Dogs welcome. 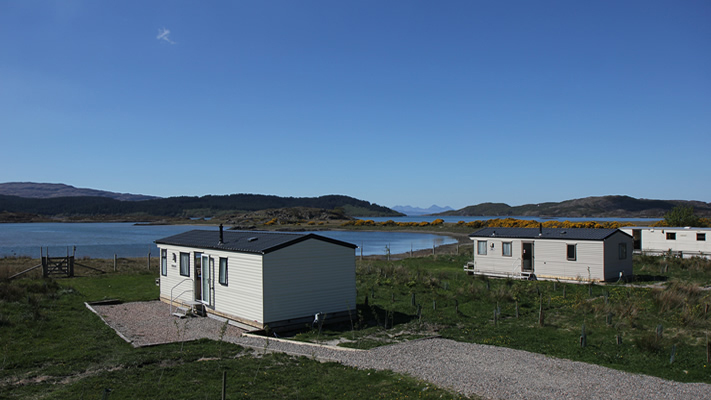 Singing Sands Holidays - Caravans: Self catering shoreside caravans on Arivegaig Bay close to the Singing Sands track. The three caravans are located down a private track with views across Arivegaig Bay and west to Kentra Bay and beyond towards the islands of Eigg and Rhum. A perfect peaceful location for kayaking, birding, wildlife watching and fishing. 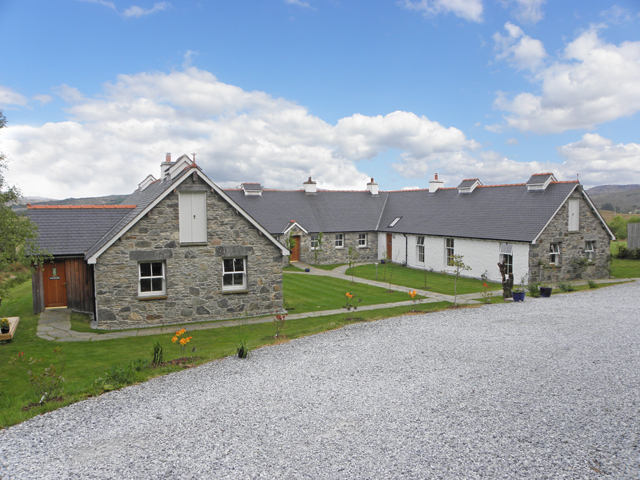 Acharacle is only 3miles away with shop, hotel, café with internet access next door to the Post Office. Two caravans sleep 4 people and one caravan sleeps 6 people. - Dogs Welcome. Garmoran Square offers the best of both worlds - a rural getaway amid spectacular west coast scenery but with contemporary city-chic on the accommodation front. The 4 & 5 star apartments have a traditional-looking croft exterior that is sympathetic to its surroundings and gives lie to the luxurious, contemporary interiors. The properties sleep from 2,4,6 and 6 people or up to 18 if taken as a whole - all bedrooms with en suite shower or bath room. Dunlachlan - a delightful country cottage situated in half-acre garden and five acres of woodland, on Loch Sunart, the most spectacular and wildlife-rich sea loch in the Scottish Highlands. The cottage, which is stone-built and sits in beautiful private grounds, has parking for two cars, sleeps six people and is comprehensively-equipped. The garden paths lead you down through native woodlands to the sea-washed shore of Loch Sunart itself. 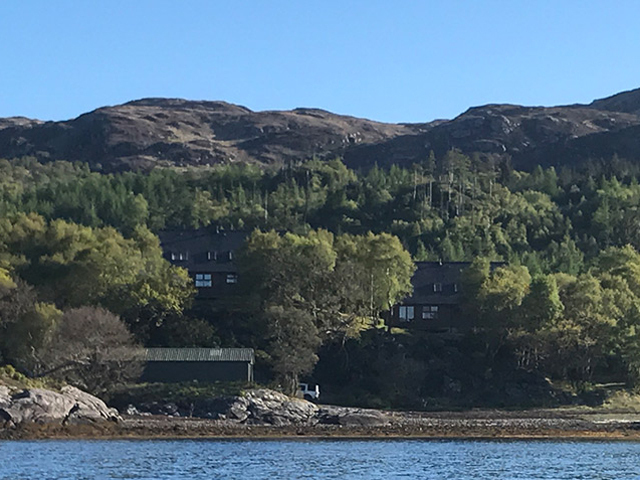 Shoreline Cottages - Sunart Adventures, Glenborrodale, Ardnamurchan. Luxury, purpose built, 5 star accommodation on the shores of Loch Sunart. With 3 (fully ensuite) bedrooms, separate cloakroom, upper floor sitting area, and a large open-plan kitchen/dining/sitting room.. Full central heating and oil fired woodburner. All linen and towels etc are provided, including all Sky TV channels and free WiFi Broadband.... Wildlife abounds from Otters to Pinemartens and Red Deer to Sea Eagles.. Explore the private shore or just sit on the deck and watch the lapping waves with a glass in hand. Dogs are welcome by arrangement. Short week lets available off season. 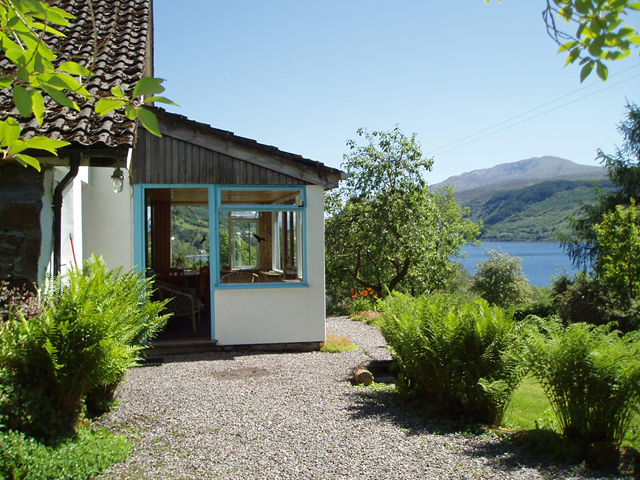 Loch View Cottage - 3 bedroom cottage on the shore of Loch Sunart in Glenborrodale. The accommodation comprises a large comfortable lounge with wood-burning stove, well equipped kitchen and three bedrooms sleeping a maximum of 6 adults. There is a wireless Broadband connection, free sat TV and DVD player. The location is remote and virtually unspoiled, but within easy access of all that Ardnamurchan has to offer. 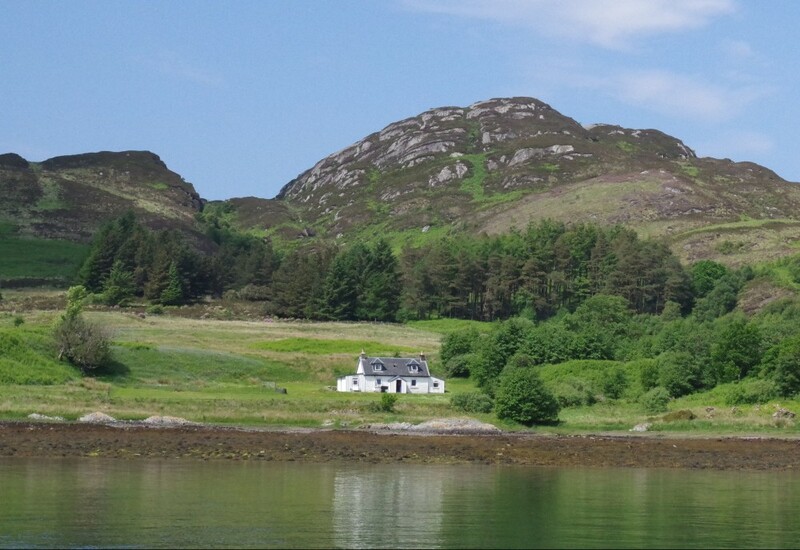 The sea angling can be productive and there are several brown trout lochs in the vicinity, many hill-walkers visit the area year after year, and if all you need is a place to get away from it all, Glenborrodale is the answer. Open All Year £475 - £795 p.w. 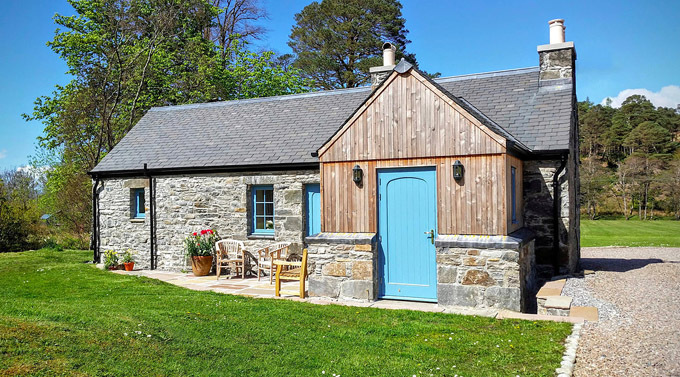 Rowanhill is an attractive traditionally stone built and rough cast two-storey self catering cottage with three twin bedrooms in its own garden beside the River Shiel and next to Loch Shiel near Acharacle, Ardnamurchan, Argyll on the West Coast of Scotland. Open All Year £580 - £780 p.w. Open All Year £1050 - £1350 p.w. 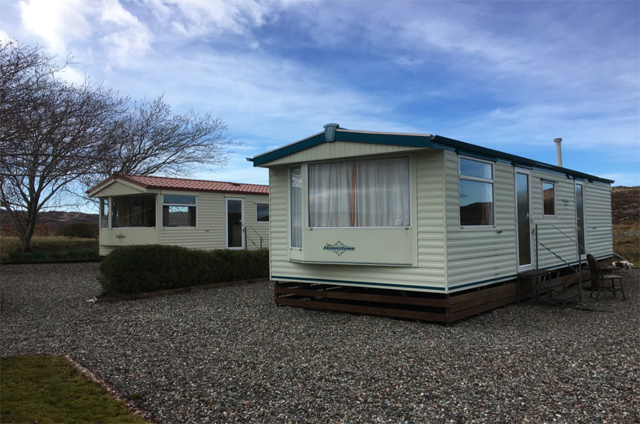 Riverview caravans are situated in a beautiful setting on a small family working croft with ample parking overlooking open countryside. 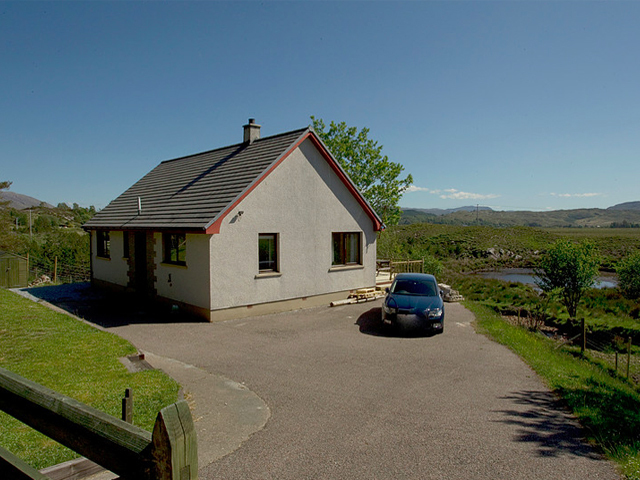 Woodside is a 2 bedroom holiday let centrally located in Ardnamurchan. Set secluded amongst beautiful scenery it is an ideal retreat for walking, cycling, photography and enjoying local wildlife. 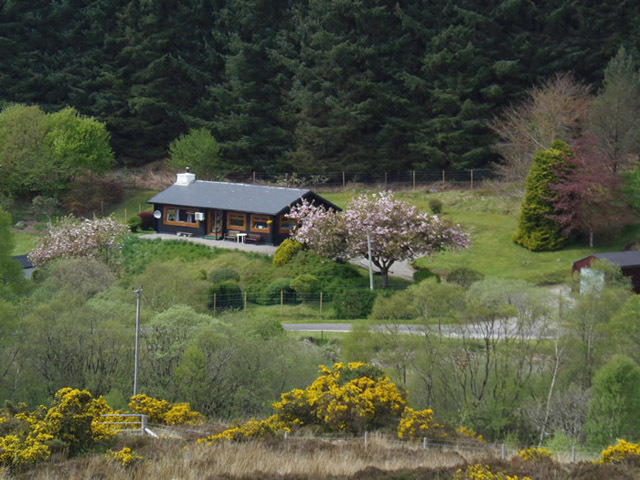 Tom Fraoich, a self catering log chalet in the West Highlands of Scotland. 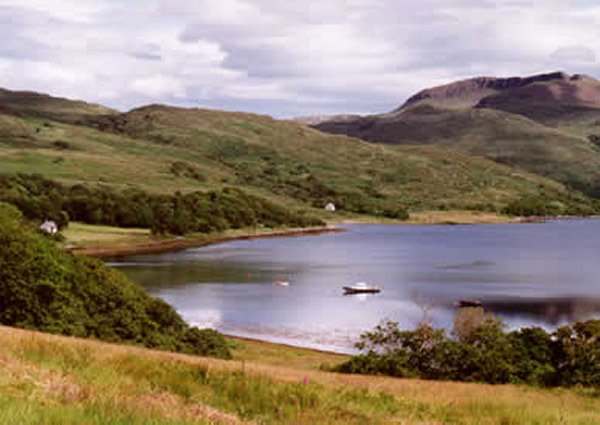 We are situated near the village of Strontian on the Ardnamurchan Peninsula. 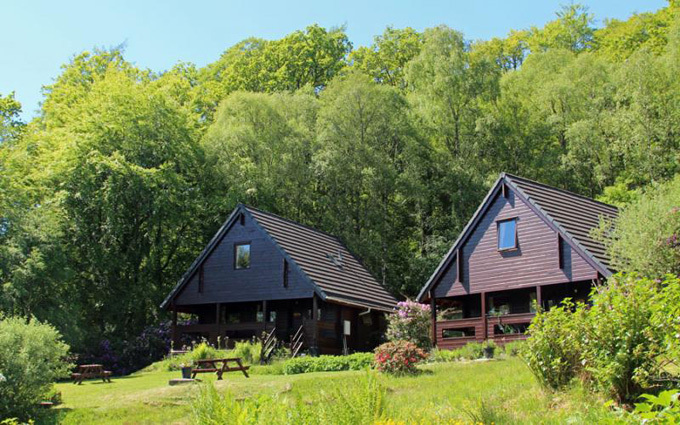 Our Self Catering Log Chalet has two bedrooms and is set in one acre of garden, with wonderful views to the hills beyond. Hillside Chalet - Salen Ardnamurchan : Located in secluded grounds in the picturesque village of Salen, on the Ardnamurchan peninsula, Hillside Chalet is ideally located for exploring the beautiful rocky coastline, secluded sandy beaches of the peninsula and wonderful wildlife, and it provides the perfect base in which to relax and enjoy the beauty and tranquillity of Ardnamurchan. There's also a good chance of seeing a pine marten close up outside the chalet. In the main lounge there is a dining area with views looking out over an extensive garden, and there is log burner for those who like a real fire, with logs provided. Satellite TV and DVD. 1 double and l twin bedrooms. All bedding, linen, towels, tea towels, hand soaps, detergents and cleaning materials and electricity are included. 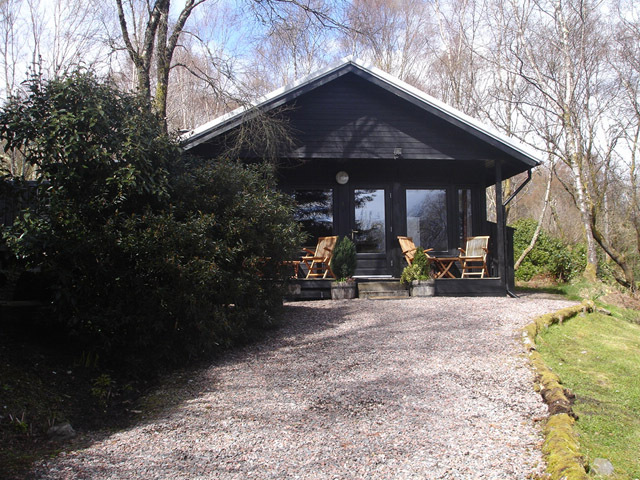 Coille Creagach is a fully equipped self catering Swedish lodge set in 28 acres on the hillside in Glenborrodale with panoramic views of Loch Sunart, Movern and Mull. Enjoy rest and relaxation in Glenborrodale amidst spectacular scenery. The Ardnamurchan area abounds with wildlife. Ideal location for walking, fishing and boat trips. Open All Year £360-£460 p.w. 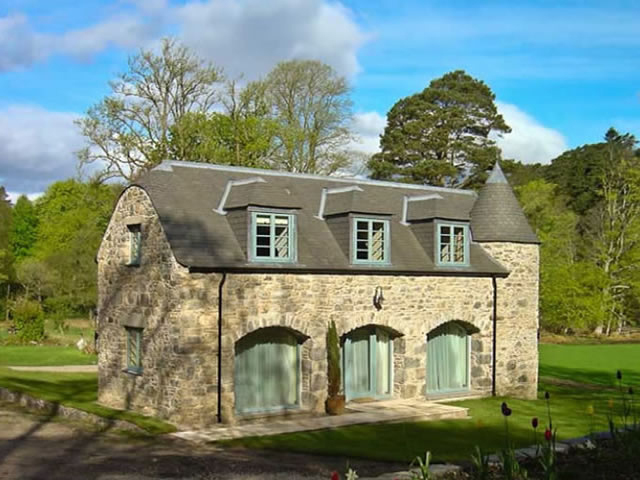 Dondies House - A very cosy, fresh, modern, fully equipped conversion of a byre. 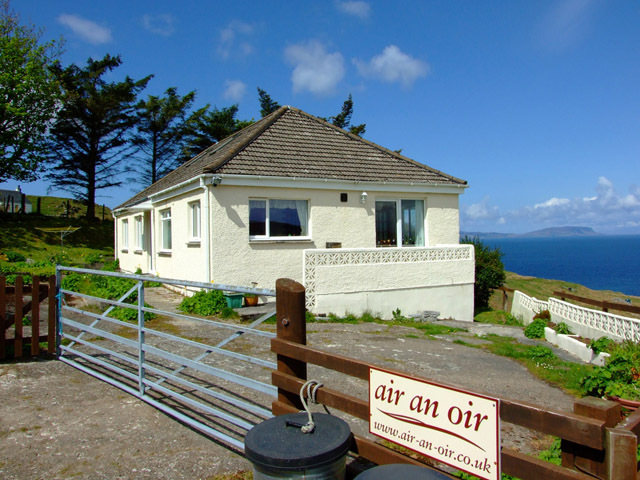 Ideal for a couple to enjoy stunning and panoramic views of the Small Isles and Skye from the comfort of the living room through the large patio doors. Five minute walk to sandy beaches. All on ground floor with laminated wooden flooring throughout: open plan kitchen and lounge with dining area and multi-fuel stove. Front entrance to hall leading to one double bedroom and shower room with toilet and washbasin. Open All Year £310 - £590 p.w. Bluebell Cottage - Loch Shiel: The self catering cottage has one double bedroom with 'z' bed that can be used for a child and a cot, sitting/dining room with multi-fuel stove, kitchen and bathroom. Perfect for relaxing after exploring the Ardnamurchan Peninsula. Great area for fishing with Loch Shiel and Loch Sunart and hill walking on Ben Resipol in Ardnamurchan . Open All Year £375 - £410 p.w.